A long time ago in a galaxy far, far away…. With those now iconic words to greet us, audiences were brought into a world that would forever change the cinematic landscape. 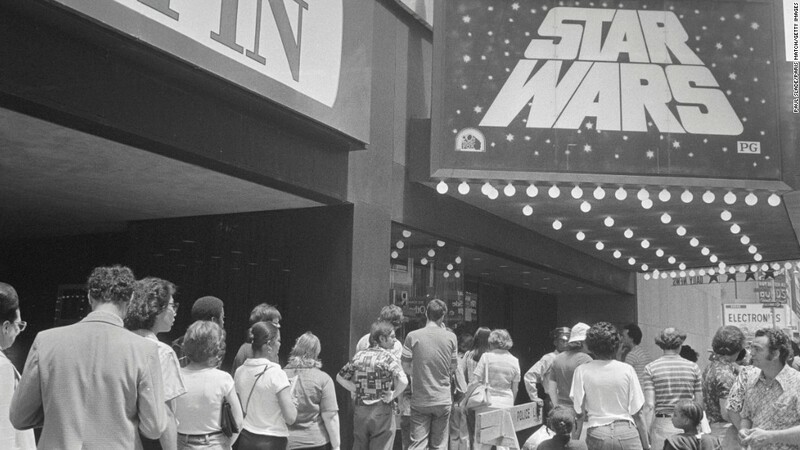 Indeed as the opening crawl of Star Wars: A New Hope began, moviegoers experienced for the first time the start of one of the most important, influential, commercially successful and critically lauded film franchises in history. 40 years ago today, May 25th, 1977, George Lucas’s epic space opera Star Wars debuted, marking not only the first chapter of this beloved series but also a critical moment in film history. It revolutionized and even rejuvenated the science fiction genre, it pioneered many special effects, and it brought together elements of romanticism, adventure, and mysticism creating a film experience unlike anything seen at the time. It’s clear to see that the legacy of A New Hope is stronger than ever, and not just because of the new films. The spirit of Star Wars and its legions of devoted fans have made it from day one a true cultural wonder. For four decades now what was conceived by an up and coming director as a mere fantasy has proven to be more than just a ‘kids movie’, but a genuine work of great achievement in the cinematic arts. To understand why the Star Wars series is one of the most celebrated in the world, you have to look at where it all began: A New Hope. Today this first film remains the most important of the whole franchise and justifiably so. It started it all, without it there would be no Empire Strikes Back or The Force Awakens or any elements of the massive commercial empire (no pun intended) it spawned. So what is it exactly about Star Wars, and specifically A New Hope, that makes it a very special film? Many of the elements of the film are individually exceptional and when put together into the larger picture of the finished movie, it really is not hard to see why it left an indelible impression on us. Whether it is its story, special effects and its musical score these and other elements combined to create something new from something old. The story itself is built on many classic and timeless themes (including good and evil, loyalty, friendship, adventure, love, and others) that although placed in a space setting can be transported anywhere. Hence while being an “alien” movie, it’s really a human story. Written by George Lucas (who in recent years seems to have shown a decline in script writing abilities) the story is very clearly inspired by the classic past of cinema. From Akira Kurosawa’s work to the Flash Gordon serials, A New Hope is in many ways even Shakespearean. While it can be argued that perhaps the characters and their motivations may be too formulaic, audiences react to things they relate to, even if it is cliché. In Star Wars’ case, the characters may seem familiar and ‘unoriginal’ but that doesn’t make them less compelling. Indeed it’s their human qualities that make us cheer them on. Luke’s ambitions for adventure and to find greater meaning are relatable to so many of us, while Leia’s bravery and tenacity confirm that the will to succeed can help you through. But even if one looks at the characters from a fairy tale perspective, there’s no shortage of thrills either. There’s the adventuresome protagonist, the Princess in distress, the rogue knight, the wise counselor, the sidekicks, and of course the forces of evil in all their manifestations. Though we can place the characters and the story anywhere, its combination with the space environment and scientific wonders have made Star Wars both classic and innovative. Part of the innovation (and a major reason why it revolutionized filmmaking and inspired so many future directors) is the phenomenal special and practical effects that went into the original trilogy. 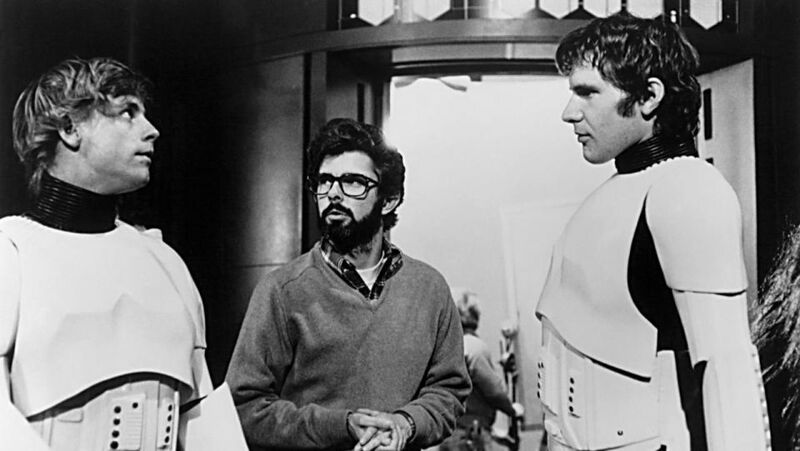 As was mentioned earlier, A New Hope’s production faced considerable hurdles, many of which stemmed from a lack of a precedent to create the things Lucas had conceived. The filmmakers didn’t just have to utilize visual effects, in many instances they had to create them. For this purpose, the company Industrial Light & Magic was founded. Remaining one of the more prominent VFX companies to this day, the visionary work of its founders made A New Hope a technical marvel whose effects still look very impressive 40 years later. People like John Dykstra, Dennis Muren, Ben Burtt, and Richard Chew (amongst many others too numerous to list here) were put to the greatest test of their careers for a film no one had faith in; but it was a challenge that brought out the best in them and a visual and audial feast to us all. From the opening crawl and the imposing shot of the Star Destroyer to the ominous Death Star and the sounds of blasters and lightsabers, it would be difficult to not be awed. A New Hope won seven Oscars including Best Visual Effects, Sound Mixing, Film Editing and Production Design. In being nominated for Best Picture, Star Wars was affirmed as being a modern cinematic masterpiece equally for its groundbreaking technological advancements, and for its ability to excite and inspire the human heart. It inspired so many films to come, with filmmakers like James Cameron, JJ Abrams, Christopher Nolan, Peter Jackson and even Ridley Scott praising its influence on their work. Of course, no discussion of A New Hope and Star Wars as a whole would be complete without a look at its magnificent musical score. Composer John Williams (whom I profiled here) wrote more than just musical accompaniment, but a universe on its own of motifs and sounds that accentuated the visual splendor on the screen. Of all the great scores Maestro Williams has composed It’s a tough task to single one out as the best, yet his work on Star Wars probably comes the closest to having that distinction. The epic scope of the score is so masterful in its execution and musicality, that it has surpassed even the films themselves as existing as an exceptional artistic creation. To tie back to the previously discussed classicism of the story, John Williams’ score singlehandedly revived the place of the symphony orchestra in film music. (For more analysis into the music, read the greatly informative book John Williams’ Film Music and the Return of the Classical Hollywood Music Style by Emilio Audissino). Films of the 70s had moved away from the lush sounds of classic Hollywood composers like Erich Korngold, Bernard Herrmann, and Alfred Newman. John Williams was not only instrumental in bringing back the orchestral tradition but showed with his works and especially in A New Hope that the symphonic experience had a place here and now. 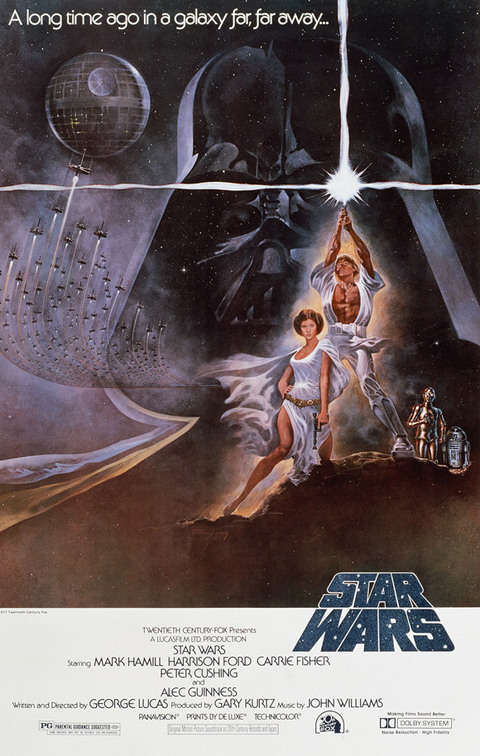 Winner of the Academy Award for Best Original Score, the score like A New Hope itself was selected for preservation in the US Library of Congress. The American Film Institute named it the Best Score for an American film in 2005. And what a symphonic treat did we get! From the majestic Main Theme, the nostalgic and stirring Force Theme/Luke’s Theme, to the celebratory and melodically wonderful Throne Room, the score to A New Hope (and the scores to the other Star Wars films) as part of the movie and on one’s own are so masterfully crafted, the genius of John Williams can’t be any clearer. On this 40th anniversary of Star Wars: A New Hope, much will be celebrated and said about this landmark film that started a cultural phenomenon and propelled its filmmakers, director and stars to new heights of fame. Indeed there are so many aspects of this movie to discuss it certainly can’t be contained to one article or discussion. What is true however is that with its exceptional innovation in visual effects, its foundation on classical themes and its celebrated musical score (amongst many other elements including character development, production design etc.) that A New Hope did indeed create a rebellion. A rebellion in 20th-century filmmaking and the catalyst that spawned a universe so strong in the Force of pop culture, society has never been the same. To George Lucas and everyone involved in this film and series, we thank you and say simply May the Force Be with You. The Academy released their nominations for the big show next month. Here’s what they got right and got wrong.